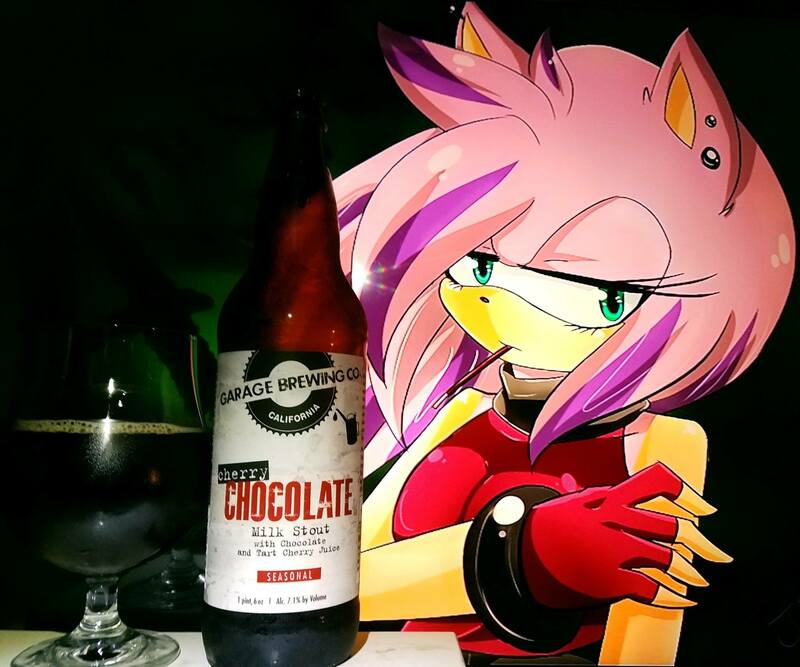 Cherry Chocolate Milk Stout by Garage Brewing Co.
We believe in making out fresh craft beer from only the finest ingredients. And guess what? It’s a perfect way to end any meal or an evening of indulgence. No need to order dessert with this flavor combination. 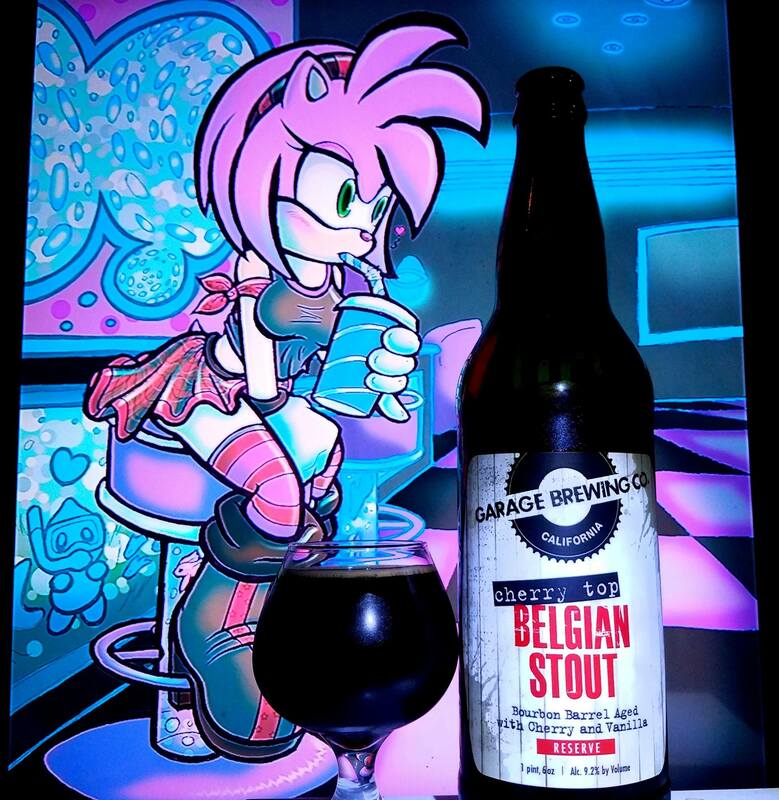 Flavor: Sweet Milk chocolate, Cherry; Aroma: Mocha, Dark Fruit; Balance: Rich; Body: Full. 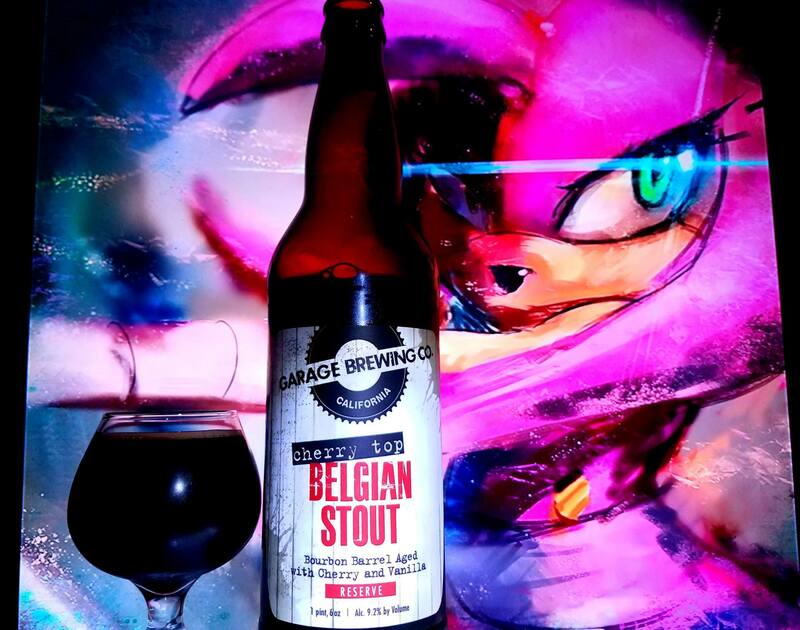 I first saw this one on a social media post by Garage Brewing a while back. 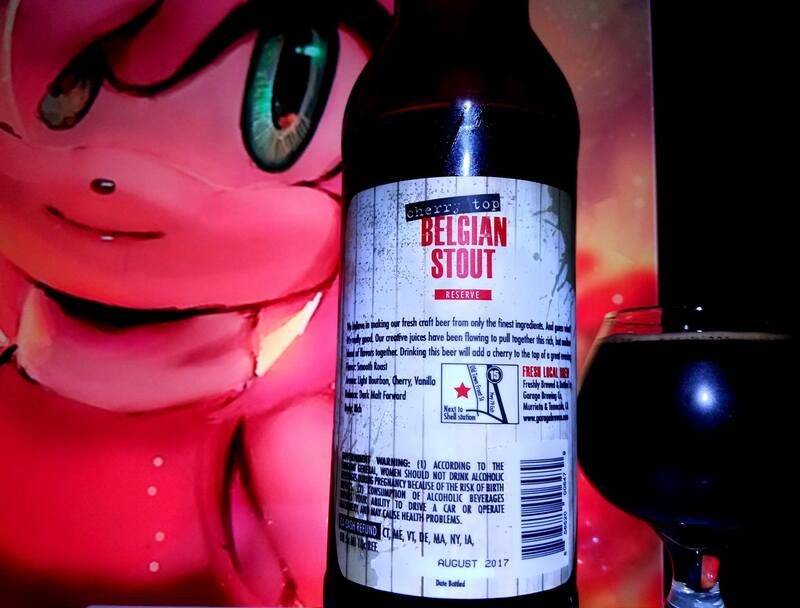 Being a fan of fruit beers and especially the love I have for their Marshmallow Milk stout, I had to bring this one to the site. I have had a ton of cherry beers to the site especially the ones I have made home brewing myself. Much like raspberries or blueberries, beers like that have a home here. 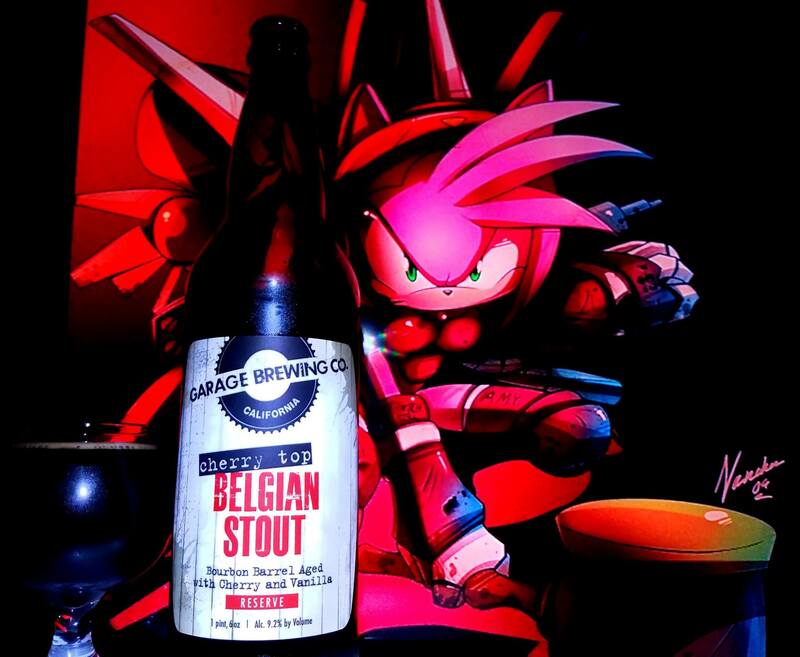 So with that being said, I was really excited to see if this one had what it takes to compare with the best cherry stouts I have had in the past. Let’s take a look, cheers! Dark chocolate, milk chocolate, tootsie roll chocolate, chocolate milkshakes, Dark fruit cherries, dark cherries, tart cherry skins, raisins, prunes, currants, blueberries, strawberry cheese cake, cherry yogurt, chocolate cherry cordial, butterscotch, brown sugar, banana and hazelnut nectar hints. Sweet & Tart Cherries, Dark Cherries, Cherry Yogurt, Chocolate cherry cordials, dark chocolate, milk chocolate, tootsie roll chocolate, choco flan, Dark fruit cherries, raisins, prunes, currants, blueberries, strawberry cheese cake, marshmallow smores, chocolate cherry cake, Pancho Pantera cherry choco milk shake, bananas, butterscotch, sweetened condensed milk, vanilla, dulce de leche caramel, fruit cake, pecan pie, brown sugar, anise, molasses and pecan pie. Finishing rich with cherry cordials, milk chocolate, flan, vanilla, caramel, hazelnut, dark fruit and dark cherry yogurt notes. No alcohol in the taste. 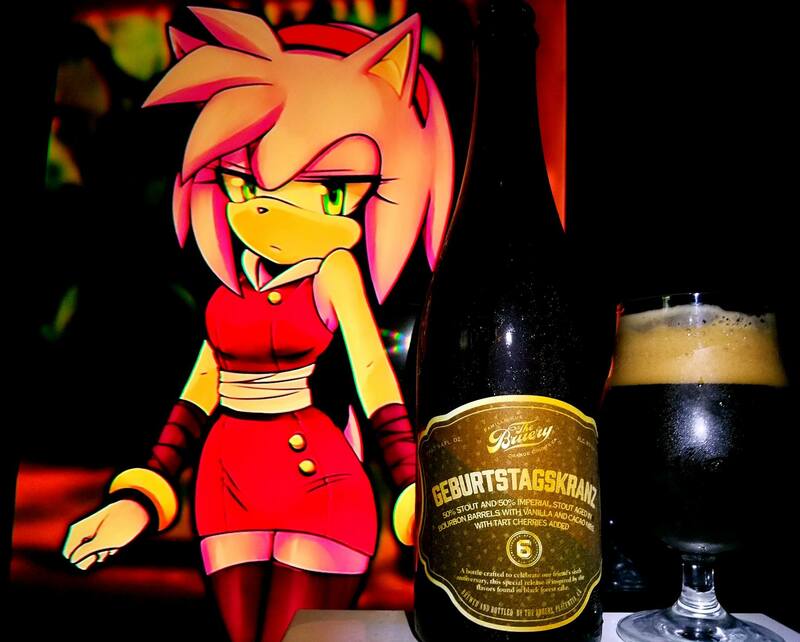 Dark full body, smooth, creamy and velvety mouthfeel along with an easy to moderate drinkability. 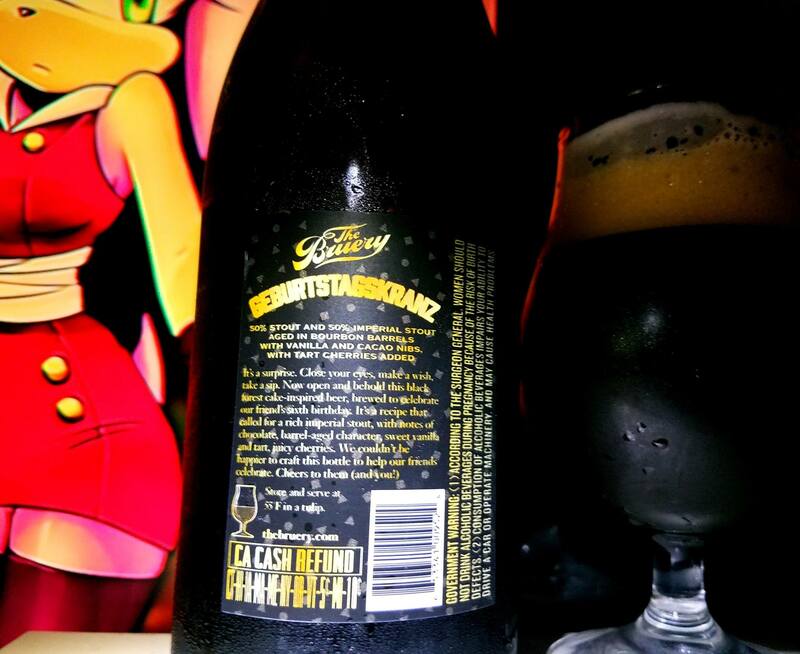 Damn exceptional beer! Very much like a cherry chocolate sweet and tart cordial. The beer is semi sweet and semi tart. A good balance of complex flavors all around. The best part too is that I think those that do not drink craft beer may really dig this one. 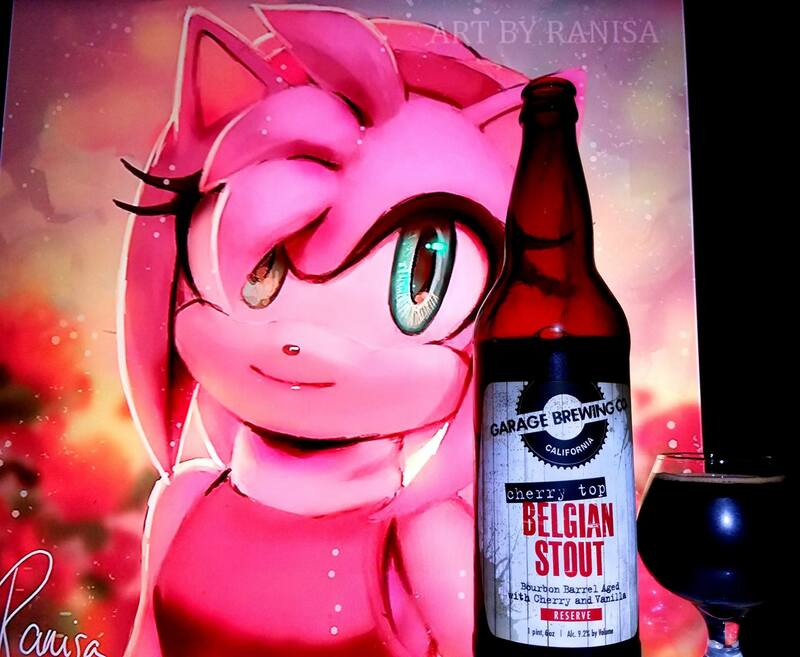 So this may actually entice more people to drink craft beer. 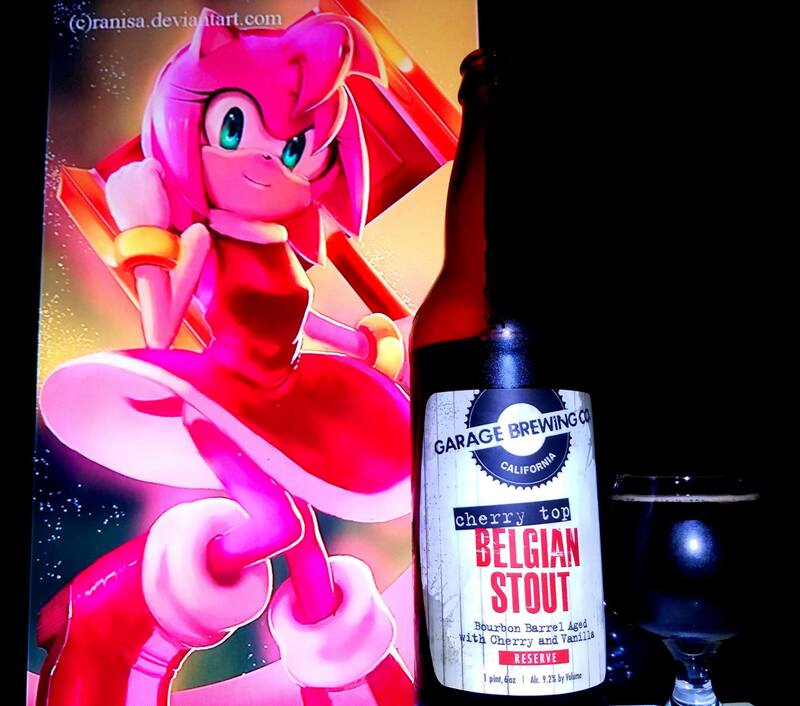 Just goes to prove, Garage is doing some amazing beers. The fact that this is a lot like a cherry cordial is the reason I provided the score I did. I highly recommend this one. 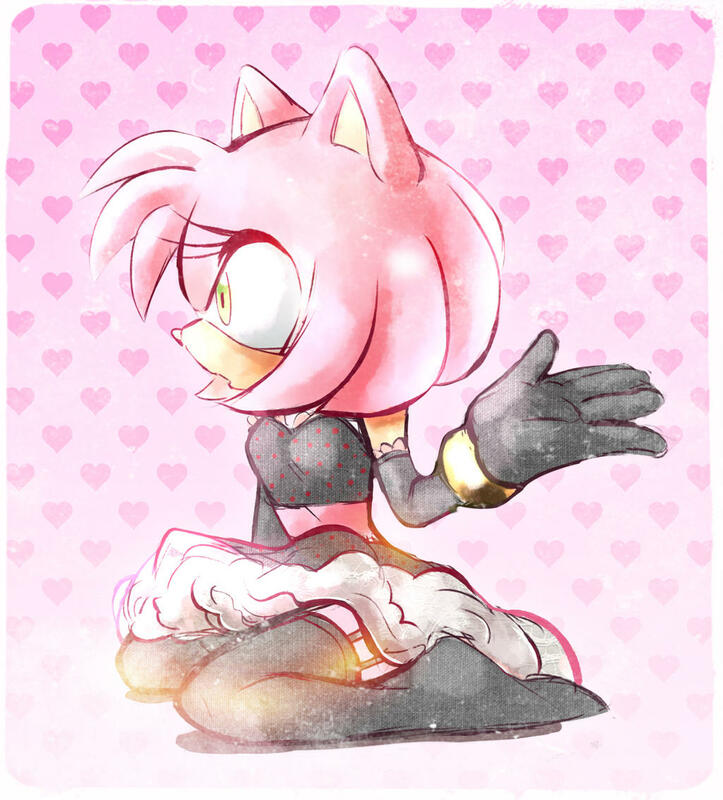 Dark Amy Rose from Sonic the Hedgehog series was used in this pairing as I wanted to pair the colors of dark cherry with a girl similar to Sakura Haruno, which Amy Rose comes to mind. 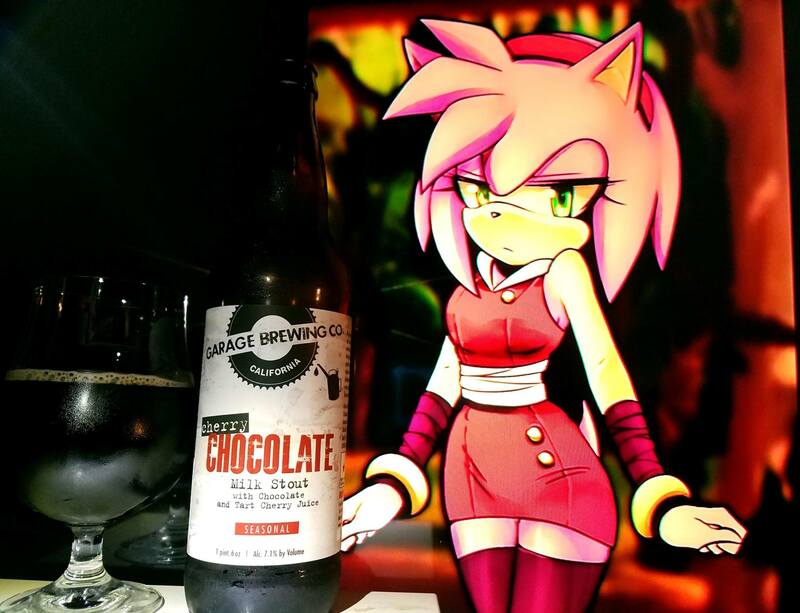 Although, since this was essentially like a chocolate cherry cordial but not to the level of the Bruery’s BBL Cordial, I brought Amy. Essentially, tart dark cherry chocolate cordial light and yet still full of rich flavors. 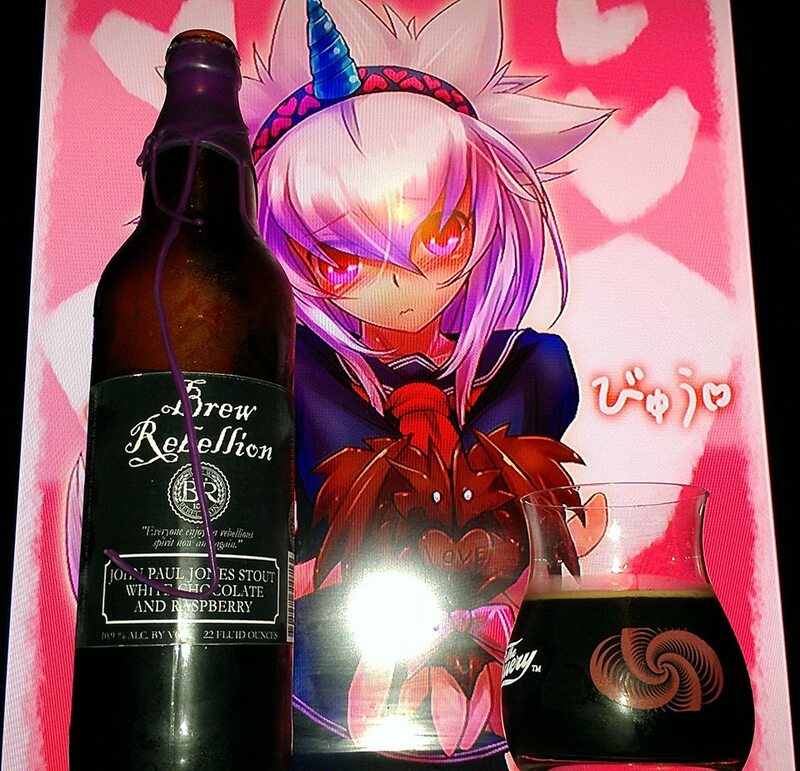 John Paul Jones Stout White Chocolate And Raspberry by Brew Rebellion is a 10.9% ABV Imperial Stout with White Chocolate and Raspberry flavors. This beer came as a surprise. I have never seen a white chocolate and raspberry stout before. The closest I have had to white chocolate were the White Chocolate from The Bruery and White Chocolate Moo-Hoo. 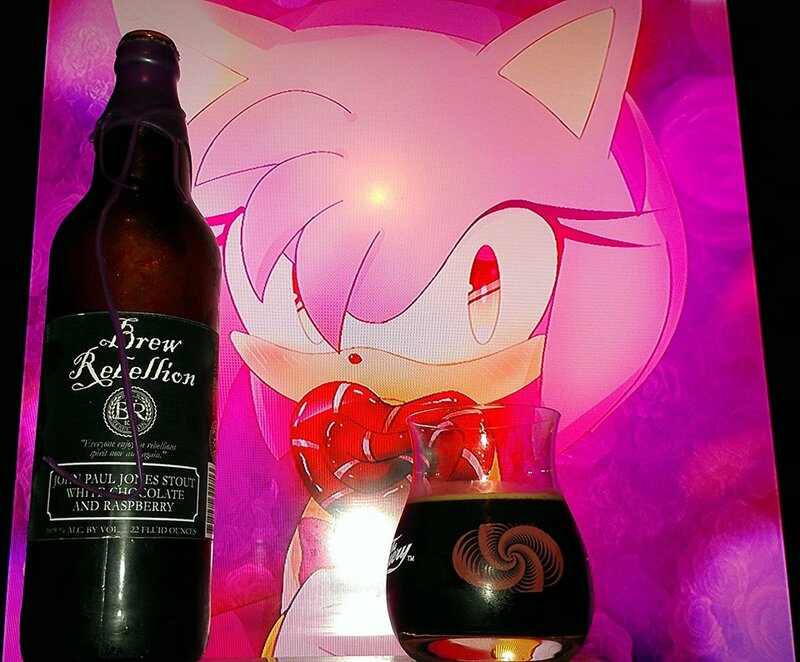 This is the first time I try a beer from Brew Rebellion and the fact that they had it all nice and waxed, well, let’s just say it appealed to me a lot. So let us check this one out and see how it goes. Cheers! Dark chocolate, milk chocolate, white chocolate, mocha, roasted , raspberry cheesecake, dark cherries, blue raspberry jolly ranchers, brown sugar, dark fruit raisins, currants, blue berries, molasses, grape jelly on toasted bread, flan hints, crème brulee and marshmallows. Rich raspberry, Dark Chocolate, Milk chocolate, White chocolate, vanilla, caramel, raspberry cream, coffee, mocha, rye bread, dark fruit raisins, currants, blue berries, grape jelly on toasted bread, dark cherries, raspberry cheesecake, blue raspberry jolly ranchers, cinnamon, molasses, flan, cherry cola notes, blue raspberry jolly ranchers, dragon fruit, toasted coconut, marshmallows, brown sugar, hazelnut, toffee, crème brulee hints and earthy notes. Raspberry, white and dark chocolate hints, caramel, vanilla, mild Earthy notes and mainly dry finish. 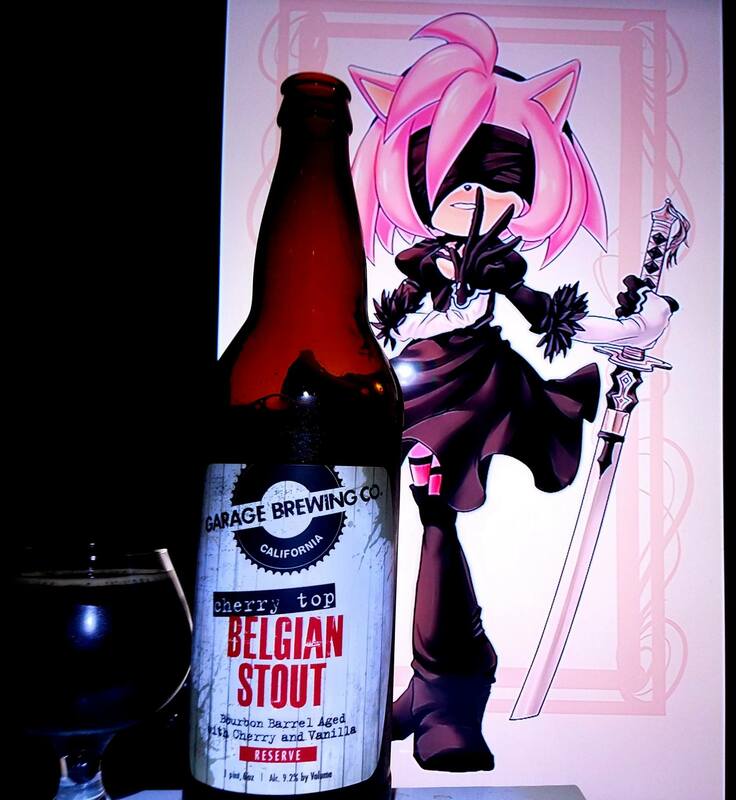 No Alcohol in the taste, pitch black body, light yet creamy mouthfeel, Way too easy to drink that it is dangerous. 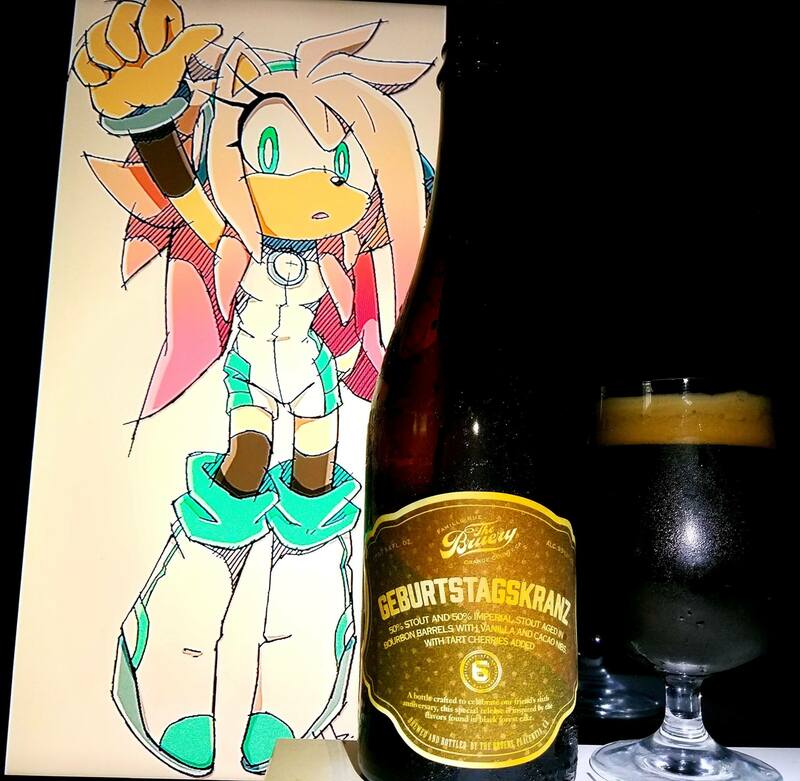 I agree it to be a perfect stout. I really wish it had more body and complexity to it, but just as is, the flavors it does have are full frontal. Meaning that you do get a very direct raspberry and dark chocolate flavor with some white chocolate suggested. While the white chocolate is in there but kind of hidden at first, let the beer warm up to released it better. 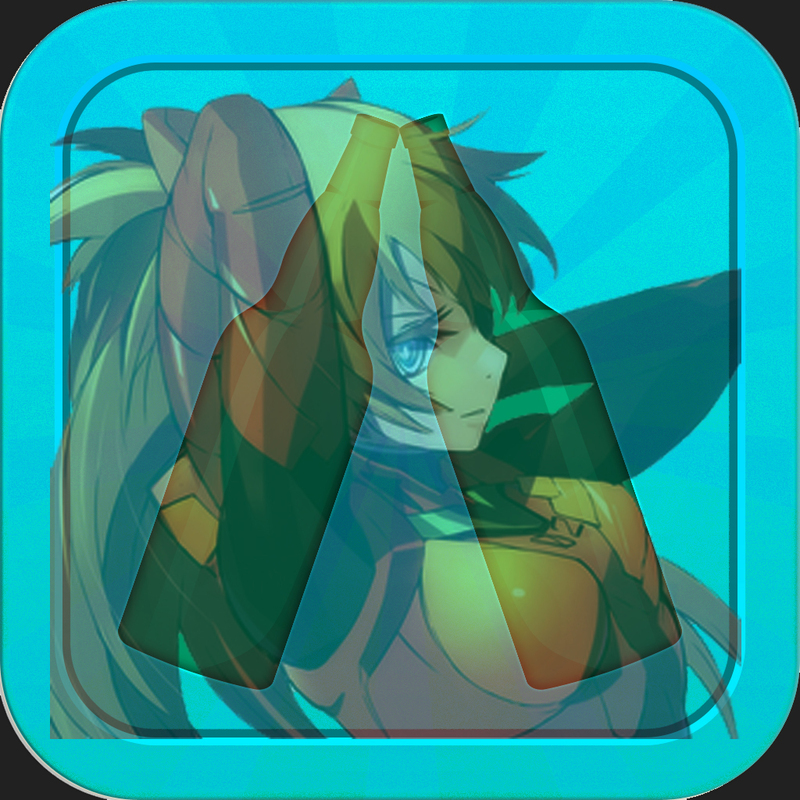 Afterward, that is what I base my rating on. 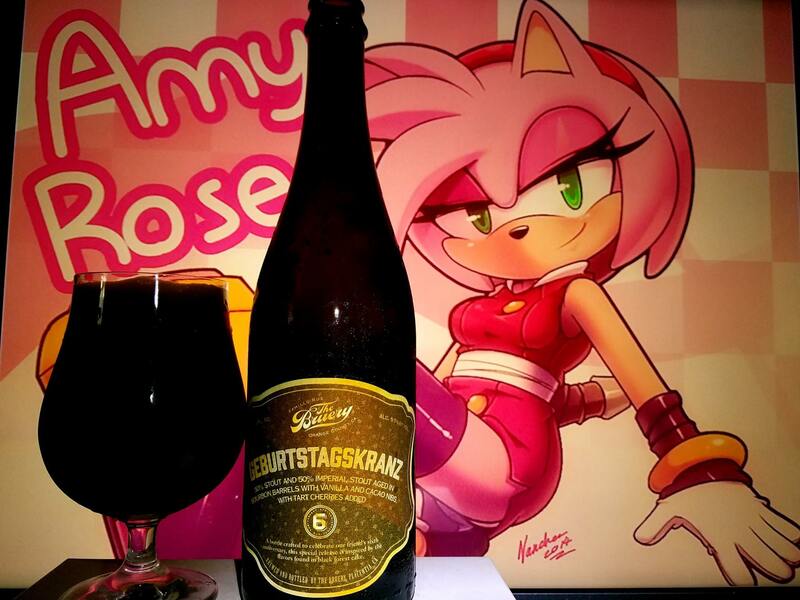 This beer could be drunk all day which is dangerous as it is way too easy to drink. 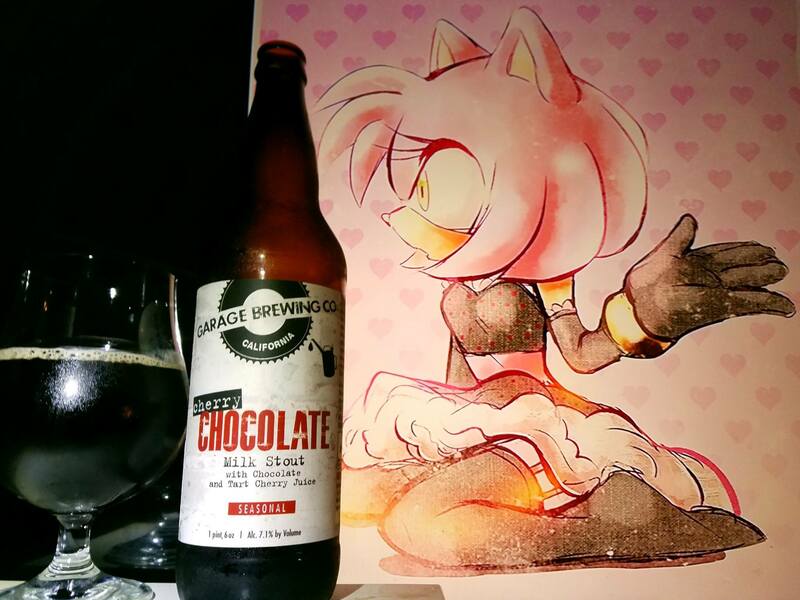 I highly recommend trying this one, This beer definitely fits as the “Chocolate Gift” category and might be good for a valentines gift too. Kirin and Amy Rose from Monster Hunter and the Sonic Franchise were used in this pairing because I wanted to bring about the aspect of how the colors relate to the flavors of White Chocolate and Raspberry creating like pink milky color. 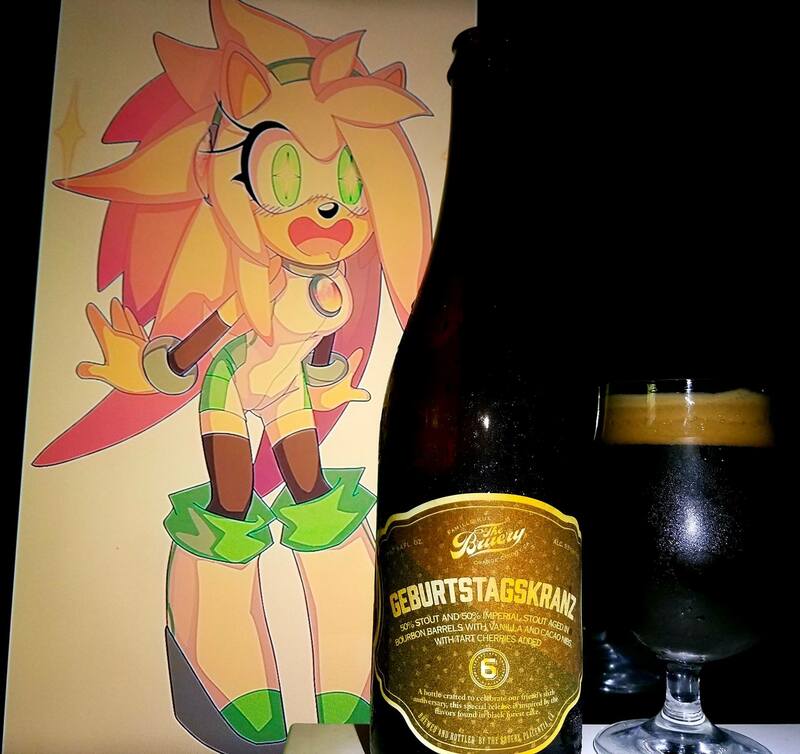 While the beer itself is dark, like the dark chocolate, this is only one of the flavors. Since it is easy to drink, and a sweet dessert, it is just like giving chocolate as a gift for valentines. I liked the idea for sure.